The Los Angeles Dodgers won a thrilling Game 4 of the NLCS with a walk-off single in the 13th inning to even the series, 2-2. 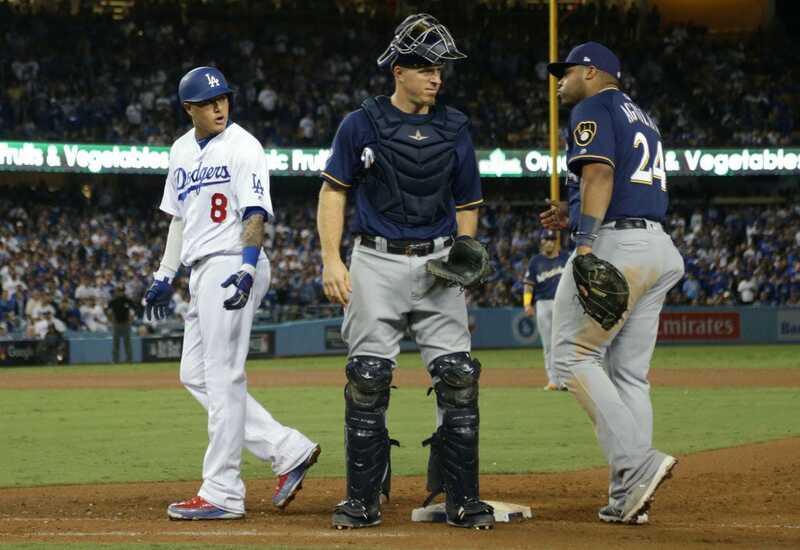 A routine grounder in the tenth inning caused the benches to clear when Manny Machado kicked first baseman, Jesus Aguilar. After the game, Christian Yelich called it “a dirty play by a dirty player,” and then referred to Machado as something you should not say in front of your parents. The Los Angeles Dodgers won a thrilling Game 4 of the NLCS with a walk-off single in the 13th inning to even the series, 2-2, but it was a routine groundout in the tenth inning that most people were talking about after the game. With one out in the bottom of the tenth inning, Manny Machado hit a grounder to shortstop and was easily thrown out at first base. However, when he crossed the bag, he dragged his left foot and appeared to intentionally kick first baseman, Jesus Aguilar. Aguilar immediately expressed dissatisfaction and the benches briefly emptied. Yelich wasn’t done. When he wrapped up his comments, he was heard using some, let’s say, colourful language to describe Machado,according to Mike Puma of the New York Post. “F— that mother f—er,” Yelich said.